If you had followed the recently concluded Rio Olympics closely, you would have observed that the athletes’ were all well dressed. 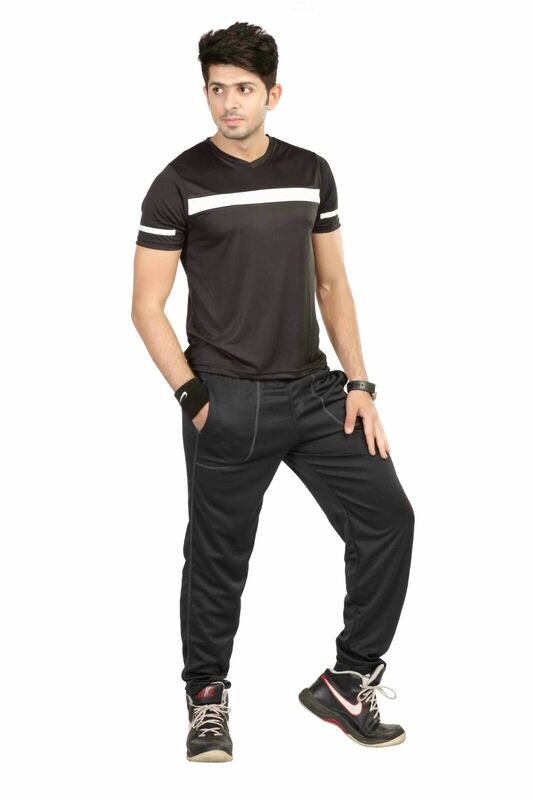 In fact most sportspersons today pay attention to what they wear as well and this is naturally a niche apparel segment that is growing at a good rate. A report titled Sportswear Market in India 2015 by IMAGES F&R Research estimates India’s active sportswear market (including sports footwear, apparel and accessories) at Rs. 6000 crore, growing at 13% a year. Brands are playing with colours, prints and styles. People are in fact wearing sportswear as stylish comfort casual wear owing to the variety in cuts and designs that are available. A consumer sees value in technical wear. Swimwear many home grown and as well as established brands are introducing swimsuits and beach wear. Srishti Nadhani & Ankita Mantri Lahoty, Founders, Store Untold opine, “the fusion of casual cuts and details are being seen in sportswear. Brands are using details like laces, leather, beads, colours, prints, etc to make the apparel more fun. In turn people are wearing sportswear apparel even for casual dressing, sometimes even to fashion weeks. Another important factor is that these are all made keeping in mind a high degree of comfort clothing. In fact gender neutral fashion is also very strong in sportswear and vibrant colours and details are being seen on mens sportswear too.” A growing trend is seen among the sportswear vertical is for recycled products. Many renowned sports apparel companies are now switching to recycled apparels. “Neons and vibrant colours have especially brightened up the sportswear segment in the country, and given the association of varied designers with sportswear brands, the trend only seems to be on the upswing. There is a growing visibility of youth sporting their favorite football or basketball jersey at pubs, bars and parties. There is increased usage of PET recycled polyester for the high end sportswear segment. Nike produces Jerseys for Indian Cricket Team which is manufactured by PET recycled polyester,” says Sachin Sharma, Director, GEM Enviro Management Pvt. Ltd. The latest trend in apparel market is ‘Athleisure’. Another reason behind the spur in the demand of athletic and fitness apparel is the fitness revolution, directly instrumental in the steep rise of the number of gyms and fitness centres. “The consumer today is much evolved than any of its antecedents and thus precisely knows what he wants. The latest trend today is fabrics and designs which are fashionable as well as athletic, thus satisfying the customer’s desire to make a fashion statement while working out. Then, the rise in activities like trekking trail running, mountaineering and cycling etc. has raised the demand for performance apparel as well,” says Sonal Jain, Vice President – Brand, Lotto Sport India. It is expected that sportswear sales will touch 540 billion INR by 2020. People becoming more and more health conscious due to stressful living habits; another big trigger to wanting to have a better lifestyle and good health is growth and importance of social media. ”The technical sportswear market is relatively nascent when compared to the bicycles market and we see that the market on the whole is in a rapid growth phase as it is so early in its lifecycle. The supply of apparel from reputed brands is very low with lot of first copies of big brands being seen in the market. We hope to change this with the launch of the “Head-to-toe” concept and are sure to register steady/ stable growth as we have a great spread of Scott official dealers spanning the length/ breadth of the country,” says Shah. The country’s sportswear segment is largely unorganized with organized players constituting only around 30% of the market. Franchised exclusive brand outlets (EBOs) and multi-brand outlets form the core retail channels for sportswear in India. Today, the organized sportswear market in India is dominated by the “big four” (Adidas, Reebok, Nike and Puma) global players, which have over 80% market share of the organized market, with several others such as Fila and Lotto ramping up their presence. These brands face competition from multi-brand sportswear retailers such as Planet Sports and Royal Sporting House (RSH). “Counterfeiting is one of the biggest challenges sportswear brands are facing in India today. Unorganized players imitate product styles, brand logos and names, which adversely impacts the brand equity and sales brands. Although there is high viewership of sports (particularly cricket) in India, participation continues to be low, with only an estimated 1% of the population engaging in sporting activities. Therefore, in line with this market reality, several sports brands have positioned themselves as lifestyle instead of fitness brands. Players face major competition from unorganized players that constitute around ~70% of the overall sportswear market, since the latter have a significant advantage over their organized counterparts in pricing,” says Sharma. Nowadays the consumer preferences are changing at a rapid pace with new designs and technology options hitting market almost every quarter. “Another hindrance a brand faces in our nation is related to production setbacks; the technologies required to produce the modern day fitness apparel is mostly unavailable in the country. Secondly, the advanced apparels require specialized fabrics, which too are required to be imported, hence the high price. There has been a steep rise in demand of apparel with modern technologies which is predicted to grow at a stable pace because of the fitness revolution,” says Sonal. Sports companies are focusing a lot on product innovation, positioning as fashion style statement and using sustainability as new concepts in their product line. The sportswear industry has been witnessing significant innovation in the premium as well as the mass segment. Sustainability and innovation are two of the key criteria of selection for successful companies in the future will be those where sustainability is well integrated in terms of core values, operations as well as consumer acceptance. The sportswear market has undergone a massive shift from being a niche segment to a dynamic consumer and lifestyle sector. “Sports apparel market is expanding its roots by constantly working towards creating new and chic styles. The new trend of creating a fusion of sportswear with casual wear has attracted customers across the country today. Individuals are opting for such chic and trendy styles as it is both convenient and fashionable,” says Pranal Modani – Business Head, C9. According to a report, the global sportswear market is expected to grow at a rate of 5.3% from 2016 to 2020, keeping in mind the increasing health awareness among the citizens and their active participation so this is one space to watch out for. All pics in this post are courtesy GEM Enviro Management Pvt. Ltd.